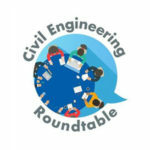 What Does Industry Expect of Engineering Graduates? 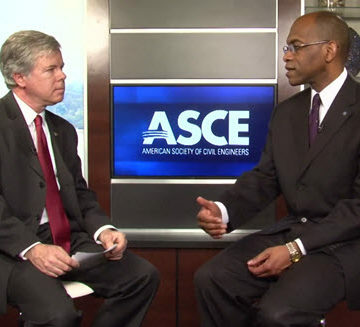 ASEE’s Norman Fortenberry talks with ASCE’s Casey Dinges in a segment of ASCE’s Interchange video series. Watch the episode. 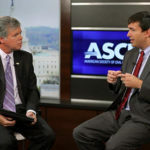 “One of the things we always say about engineering – is that you can be technically brilliant but if you can’t communicate that to the client or the customer or a constituent, then nobody cares,” says Norman Fortenberry, executive director of the American Society for Engineering Education, describing the findings of an ASEE-conducted study to better understand what the engineering industry is seeking from graduates in the 21st century. “The study really emphasized a number of things we’ve heard over the years. 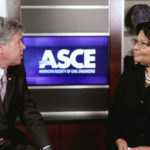 There is a desire for students who have not only great technical skills but also some breadth in their studies.” Fortenberry was interviewed for the ASCE Interchange video series. 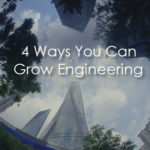 What do you think young engineers need to know when they join the workforce? How can we lead by example? Every project in which they are involved, should be regarded comprehensively: from when a project is defined to they way we are going to build it, use it, maintain it and replace it. They should also understand that their role is to identify problems and manage the risks; understand the client, what they need, why the need it and what constraints there are (perceived or real); and ultimately, advice and present the client with a solution that best meets their short term and long term objectives with minimal impact to the environment, finances and always with an ethical conscience. As professionals, we have the responsibility of tutoring them in all things technical, qualitative and financial, but it is also important to mentor them, encourage them and be their sounding board.